developing construction training materials and training building designers, contractors, and inspectors in current multi-hazard design and construction methods. For over 10 years, Mr Phillips has prepared and made presentations on hurricane & earthquake resistant design, construction, and retrofitting for various regional and hemispheric organisations, including: the Caribbean Disaster Emergency Management Agency (CDEMA), Organisation of American States (OAS), United States Agency for International Development (USAID), United Nation’s Development Programme (UNDP), and the United States Southern Command. In the past 5 years, he has worked in Antigua, Bahamas, Barbados, Dominica, Dominican Republic, Grenada, Haiti, Jamaica, St Kitts, and Turks & Caicos Islands. Almost immediately following Hurricane Ivan in 2004, Mr Phillips was responsible for developing and conducting workshops in every parish in Grenada in order to train Grenadian artisans to rebuild to higher standards. Soon after the January 2010 earthquake, Mr Phillips was deployed to Haiti where he trained Haitian engineers to risk assess the safe structural condition of buildings, and to design effective and economical repair and strengthening measures. Mr Phillips recently evaluated all of the primary and secondary schools in Dominica and prepared a maintenance policy and manual to effectively and economically maintain Dominica’s schools. Mr Phillips also assessed most of the Barbados Agricultural Development & Marketing Corporation’s properties and prepared plans to allow them to improve their economic use. Since being elected president of the Barbados Association of Professional Engineers in 2000, Mr Phillips has studied the relevant regional and international trade agreements, provided critical reviews of trade access and related market studies, and has assisted Barbados’ and CARICOM trade negotiators from 2002 to the present. Barbados Representative – United Nations’ Expert Meeting on “Trade and Development Aspects of Professional Services and Regulatory Frameworks”, Geneva, 17-19 Jan 2005. You may contact the President at tel: 246 232-9783. Mr. Richard Harrison, Project Manager of Education Project Implementation Unit is requesting information regarding short term courses with an overview of Construction Management. As advised in your letter to editor on 30 August 2013, I checked the list of trained persons and was surprised to find the name of a trained person with same name of contractor (of course cannot verify it is not a different person with same name) who left my job unfinished with no explanation and who refused to return my key. I am impressed with your courses, but of course we teach principles but cannot force persons to apply them. I think you are doing a good job, keep it up. It should be assumed that every builder made significant mistakes before attending the course. Walbrent College can be likened unto a Church, where participants decide to reject their irresponsible pre-conversion behaviour and embrace responsible behaviour. All graduates of the college are given the same admonition that Jesus gave – “go and sin no more”. 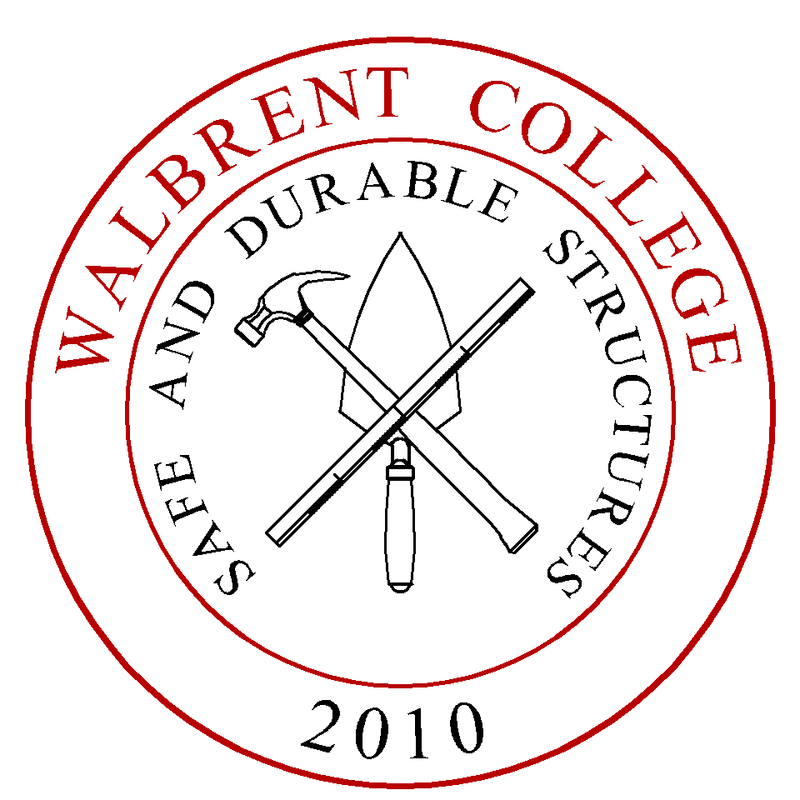 Please be advised that the College is available to adjudicate any construction disputes between all parties. In relation to safe building. what do you think of pre-fab construction? Pre-fab construction is OK provided that an independent testing agency can verify the magnitude of wind and seismic action to which the pre-fab construction is rated.